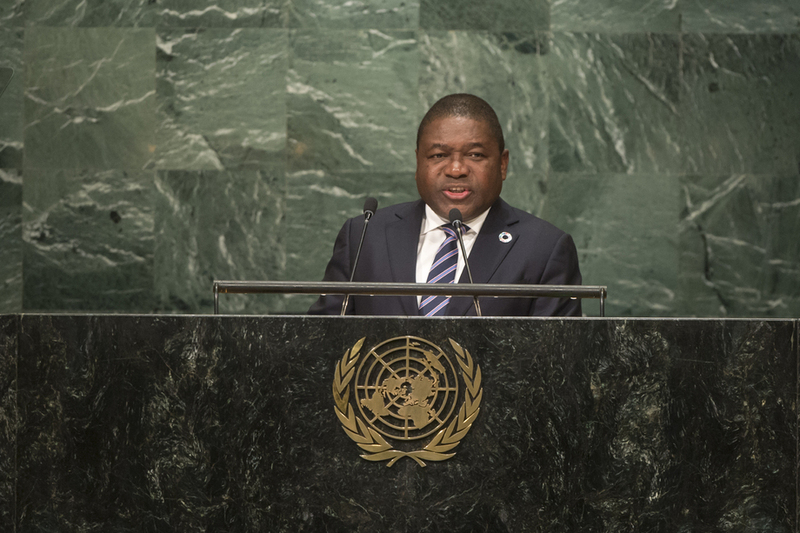 FILIPE JACINTO NYUSI, President of Mozambique, noted the early progress made in the implementation of the Sustainable Development Goals, and reminded the international community that a new era of development had begun. Noting the transformative power of the 2030 Agenda, he stated that Governments needed to create conditions conducive to the eradication of poverty and the achievement of sustainable development. It was crucial to address the challenges of overall alignment, financing, monitoring and evaluation and inclusiveness, he said. Another challenge in implementation was the effective recognition of the nexus between peace and development and the indivisibility of those two pillars. Only when those pillars were integrated would States be able to build peaceful, just and inclusive societies. To achieve that, the United Nations system had to be repositioned. He said that his country had adopted a 2015–2019 Five Year Programme to fully implement sustainable development. A National Reference Group which consisted of all stakeholders was established to mainstream, monitor and report on the implementation of the Sustainable Development Goals. The aim was to make the implementation more inclusive, consistent and transparent for the whole country. Furthermore, he reiterated the commitment of his Government to provide adequate financing for development, recalling the agreements of the Third International Conference on Financing for Development. He highlighted the need to honour commitments made and to revitalize the Global Partnership for Sustainable Development.